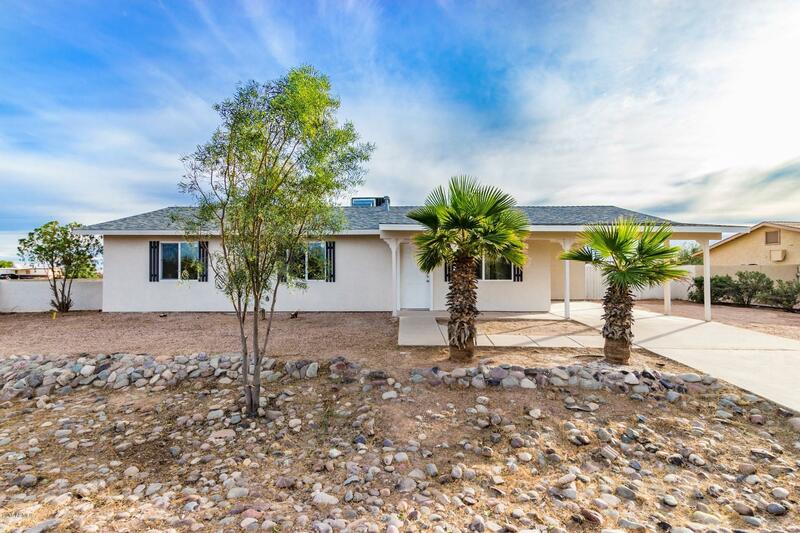 This REMODELED home in Casa Grande on a cul-da-sac QUALIFIES FOR 100% FINANCING with a USDA loan!!! Ask your lender for details. Ranch style home boasts beautiful NEW wood style tiled flooring, new paint in and out, and nicely sized bedrooms with new upgraded carpet.. This contemporary kitchen is of the highly desired white cabinetry and stainless steel appliances. White QUARTZ countertops finish this kitchen to perfection. Indoor laundry room is always a plus! This backyard is currently awaiting your landscaping dream and ideas and comes as your own personal blank canvas. BRAND NEW 30 year rated ROOF and NEW AC! HUGE LOT! This home is clean, remodeled, and move-in ready! Make it yours today!